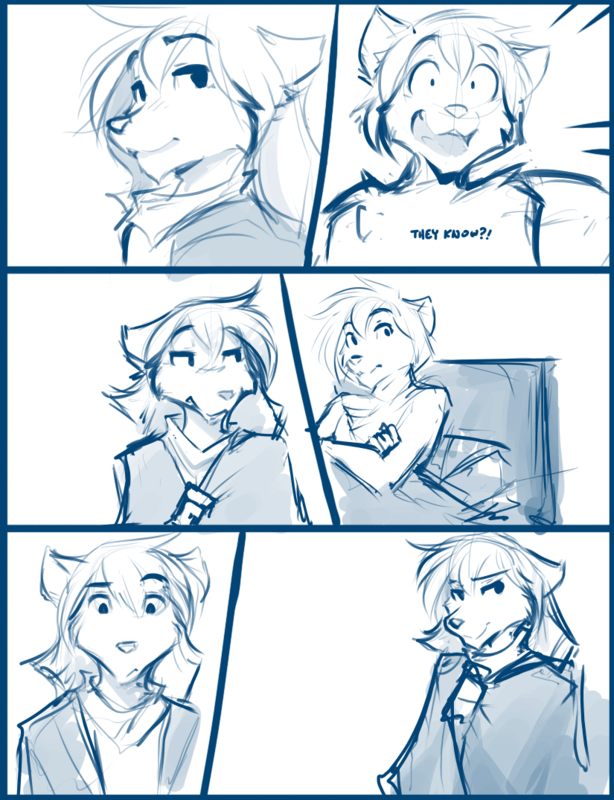 1035: Assassin Siblings, Catching Up, Pt 2 - Twokinds - 15 Years on the Net! Natani: Oh, yeah. There’s been… quite a few changes recently you missed out on. Natani: If Kat didn’t tell you, I guess the biggest one would be that… Well… the secret’s out. Zen: You mean… everyone knows that you’re…? Natani: While they’re both a little dense, even if they didn’t notice my scent that day I’m sure word has spread. Zen: Wow… I can’t believe it. Natani: You really didn’t know? You usually root through my mind right away for this stuff. Zen: No, like I said, your memories are closed off to me. I figured you were keeping me out. I could have pushed, but I didn’t want to pry. Natani: (thoughts) Huh, weird. I wonder if the link is weaker… of if my mind is stronger, now? Zen: So… how did people react? Natani: Oh, well… I’m not sure. I’m still kinda waiting for the blowout from it. No one’s said anything to my face yet, but I can tell some of them look at me different, now. Especially the Basitins and Blondie’s ship hands. Natani: I hate that they act different. What does it matter to them whether or not I have breasts?